Not everything is right on the Strip. Some things you have to drive a little ways to find. These are places you might not have heard of, but they are worthy of a visit. 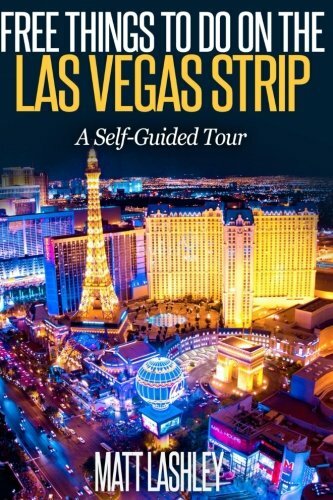 When you visit one, tell them Las Vegas for Beginners sent you. If you venture away from the strip, sometimes just outside of Las Vegas, we can promise that it will be worth your while. If you have the time in your trip, be adventurous, you'll be glad you gave it a shot.If you don't have a rental car, chances are that your hotel has a rental car desk (Enterprise Rental offers pickup service if your hotel doesn't have a rental desk) and you can rent a car for one day to check out some of these great things to do. 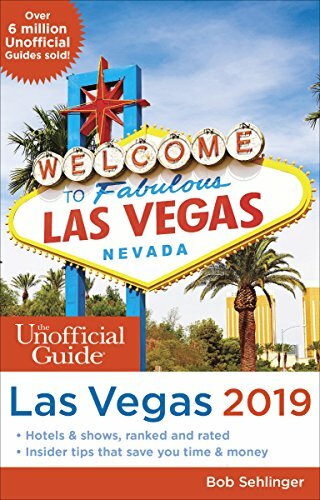 Traveling to Las Vegas, but want to play in the snow? This will be the place for you. They offer ski and snowboarding trails along with Complimentary Coaching for beginners and intermediates. Just for Kids, to help the little ones learn about the joys of skiing. In the summer, they offer a scenic chairlift ride for you to take in the breathtaking views of Lee Canyon. You can view their webcam HERE. A rental car would be best for this, since it's located in Henderson and takes around 15 minutes to get to. Ethel M offers a self-guided Candy Factory Tour and Botanical Cactus Garden (featuring over 300 different species of plants). Both are FREE and open to the public Monday-Thursday 8:30 a.m. to 4:30 p.m. The Factory Store is open 8:30 a.m. to 10:00 p.m. seven days a week. We now go from guns to coiffures. Many people get their hair done in Las Vegas. So what better place to get it done than at the school that teaches future cosmetologists, and save a few bucks in the process. You will need to allow extra time since the instructors come back and check on the work the students are doing, who are slow and careful. If you're getting a cut and coloring done, you need to reserve an early morning appointment. The list of services offered can be found here. This one is courtesy of one of our website visitors, and we really appreciate the input. The preserve is located at the water treatment plant and is home to various types of local and migratory birds. They will even lend you a set of binoculars if you don't have a pair. Jump to the site above and it lists hours of operation, a good description of the preserve's walking paths (wheelchair accessible), along with directions on how to get there. Did you ever wonder where the lions at MGM went when they weren't at the lion habitat (before it closed)? Here's the answer, the Lion Habitat Ranch in Henderson. You can join their "lion immersion program" that lasts 3-4 hours where you will learn and participate in the care and feeding of the lions ($800). You can book a private tour for $100/person (up to 10). You can interact with lion cubs (up to 2 people for 5 minutes for $200, appointment only). You can even "Feast with the Beasts" in a private enclosure with a meal provided by the Habitat with the lions just outside of the enclosure. Or, you can just pay their admission fee and enjoy looking at the lions. Open 10:00 a.m. to 2:00 p.m. (Summer Hours), with the last admittance at 1:30 p.m. Adults $25.00 (Locals $20.00 or Seniors/Military/Fire/Police with ID), which will also gain entrance for one child per adult at no extra charge ($8.00 - $10.00 for extra children), $18.00 for College Student w/ID. Family group rates are available also. This new 23 acre park cost around $23 million dollars when it was finished and has a '60s beach theme. The park features a 33,000 sq. ft. wave pool and a multi-lane racing slide, among other features. Park information can be found HERE, tickets & season pass prices are HERE and hours/directions HERE. This 41 acre water park opened in 2013 with a price tag of around $50 million. The park features 25 slides, a wave pool, lazy river, water playground, a toddler pool, and in 2014 they added the Tornado. Tickets are on sale now, and sometimes you can find discounted tickets on Groupon. A schedule of park hours can be found HERE. The 2015 Season schedule and Dive 'n Movies schedule have not been posted yet. Charleston Boulevard (State Road 159) - approximately 5 miles outside of Las Vegas. Red Rock is one area that we never hear a bad comment about. The visitor information center is open from 8:00 a.m. to 4:30 p.m. every day. The famed 13 mile one-way scenic drive is open every day at 6:00 a.m. and the closing time is 5:00 - 8:00 p.m. (dependent on the time of the year). Cars/trucks are $7 with bicycles/motorcycles costing $3, (cash only) for a 1 day pass. You can find a map of the scenic drive HERE. The also have 19 hiking trails ranging from 2 - 6 miles with two trails suitable for kids that are .75 miles. The trails are listed HERE. The scenic drive page above also shows the hiking trails also. Rock climbing is also available. Check it out HERE. This sounds like a really fun time. Flight Linez has six scheduled pickups from the Excalibur Hotel & Casino beginning at 8:00 A.M. (the zipline adventure will begin at 9:00 A.M. ) and every two hours after that. The last pickup is at 5:00 p.m. Transportation is provided as part of the price you pay. See the adventure schedule and pricing HERE. They drive you to Bootleg Canyon Park where the ziplines are located on Red Mountain. They have four parallel lines (no tandem riding) that are part of their four leg, 1.5 miles package. After a little schooling on safety, you'll take a 15 minute ride up Red Mountain, followed by a 15 minute hike (you'll be able to stop and rest/take pictures) before starting your adventure. After completing all four runs, you'll be taken back to the starting point where you can purchase souvenirs and pictures of your ride. Afterward, they'll drive you back to the Excalibur. The whole adventure takes approximately four hours. Find a $25.00 off ticket HERE. If you're a train enthusiast, this will be the place for you. This facility has four operational locomotives of various pedigrees and three locomotives that are display only (two of which are steam) for a glimpse at what rail travel was like through history. If you click on THIS page, you'll see pictures of the collection pieces and equipment that will be part of the train ride listed below. There are no indoor display facilities, it's all outdoors. Open every Saturday & Sunday, this three car train (Air-Conditioned/Heated) plus an open-air car and generator car takes you on a 3 mile ride on the track developed by the Union Pacific Railroad in 1931 to supply materials for use in the construction of the Hoover Dam. The round trip takes about 45 minutes. Departure times are 10:00 A.M., 11:30 A.M., 1:00 P.M. and 2:30 P.M. with boarding beginning 15 minutes before departure. Tickets are $10.00 for Adults (12 and Over), $5.00 for Children (4 to 11 years old), and Children 3 and under are FREE. Locomotive Cab Rides (with engineer's permission) are $35 and "Engineer for an Hour" will run you $250. Click HERE for a $1.00 Off Adult Fare Coupon. Every 3rd Saturday of each month, you can take a ride on the "Live Steamers", a 1.5", 7.5" guage live steam railroad on the Museum's lower lot. Take a look HERE. Hoover Dam - MAP (Monte Carlo to Hoover Dam) - This is one tour taken by many visitors to our favorite city and you will need to rent a car for the day to see it. Be advised, it takes 45 minutes +/- to get there andyou now have to go through a Homeland Security vehicle checkpoint, which will slow things down. If you don't feel comfortable renting a car to get there, never fear, Viator is here. They have several tours to choose from and you can find theirtour choices HERE. Most tours offer some sort of hotel pickup, last 4-6 hours, include the shorter Powerplant Tour along with their own custom tour and some have a light lunch included. If you drive, the Dam parking garage opens at 8:00 a.m. and closes at 5:15 p.m. and there is a $10.00 parking fee. The Dam is open everyday except Thanksgiving and Christmas. The visitor center is open from 9:00 a.m. to 5:00 p.m. and the tours start at 9:25 a.m. for the Powerplant Tour and 9:30 a.m. for the Dam Tour. They offer a summer and winter tour schedule, so go to the Bureau of Reclamation's website HERE to get the all the details on the current schedule. Hoover Dam offers two tours:The Powerplant Tour and the Dam Tour. The shorter, 30 minute, Powerplant tour includes admission to the Visitor Center and a tour of the Powerplant. The 1-hour long Dam Tour includes the Powerplant tour, and passageways within the Dam itself. It is NOT recommended for folks who are claustrophobic and this is NOT an accessible tour for wheelchairs or crutches. The Dam Tour tickets are $30.00 each for all visitors. NO children under 8 are permitted. Read more about this tour HERE.